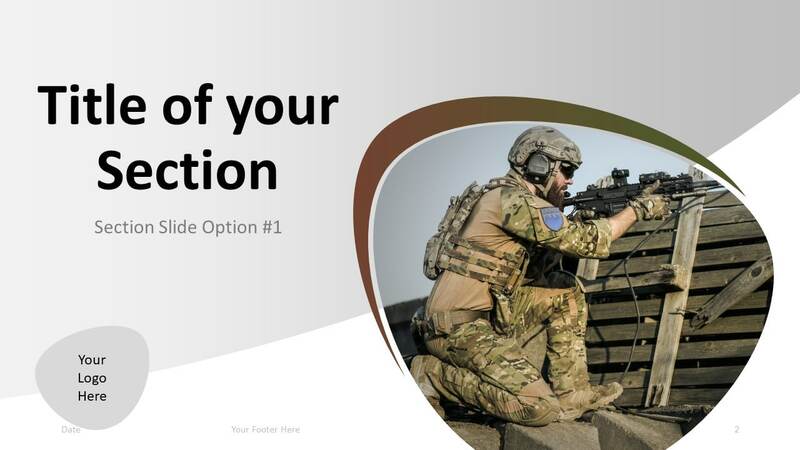 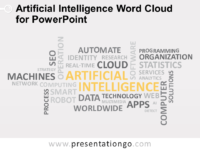 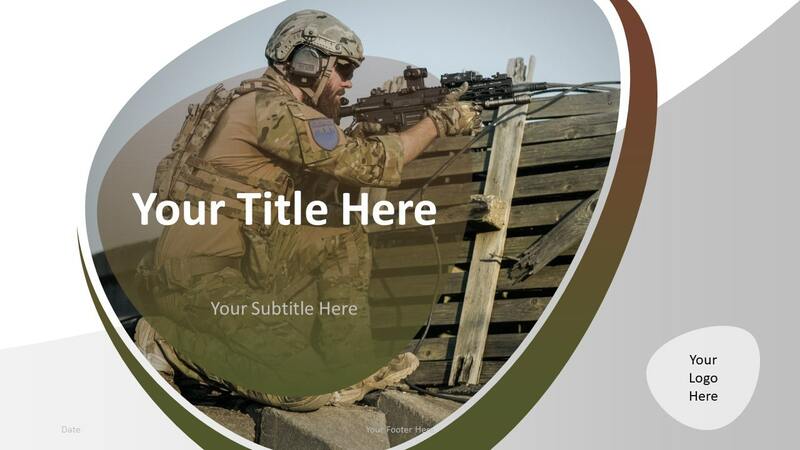 Free military PowerPoint template. 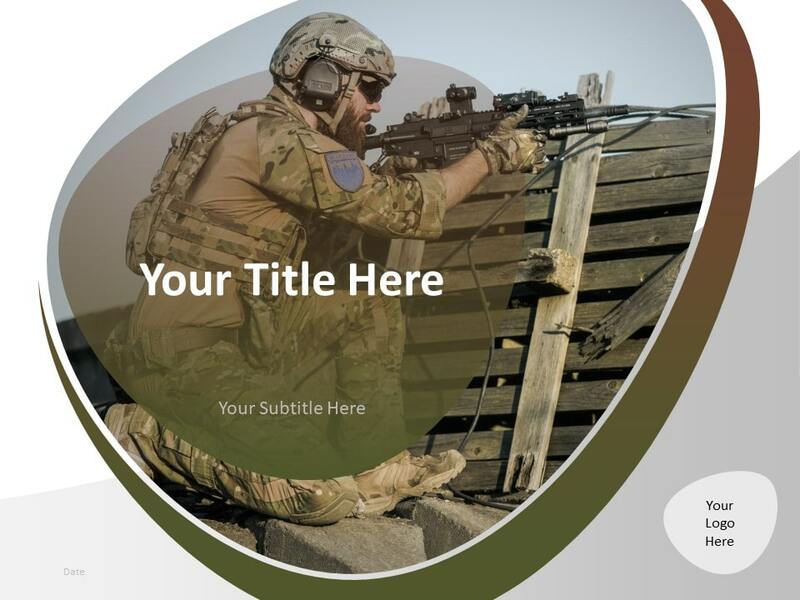 Modern theme with a brown/green (camo) gradient background and abstract shapes. 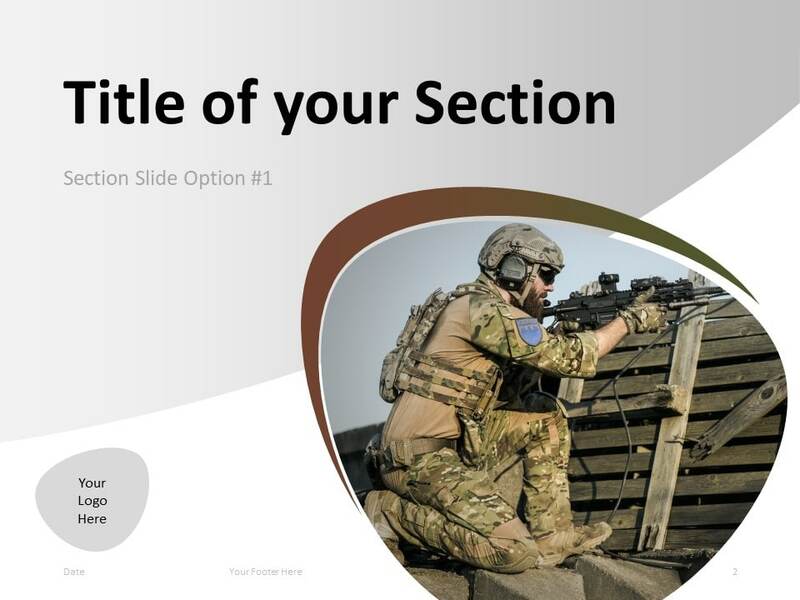 Also uses a photo of a soldier in kneeling firing position. 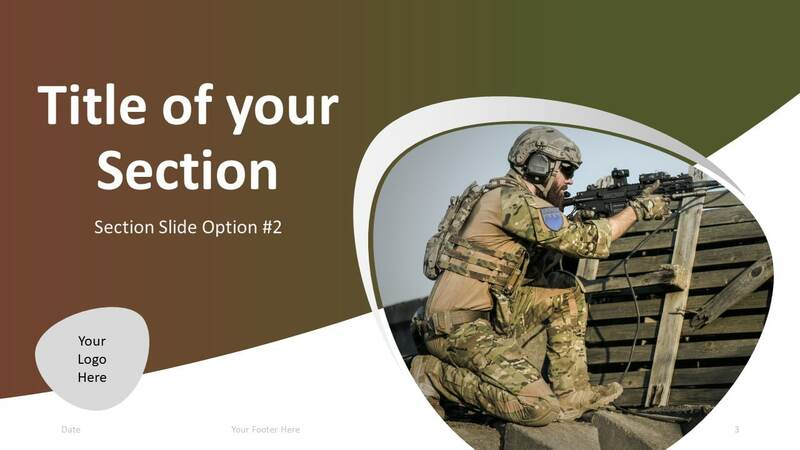 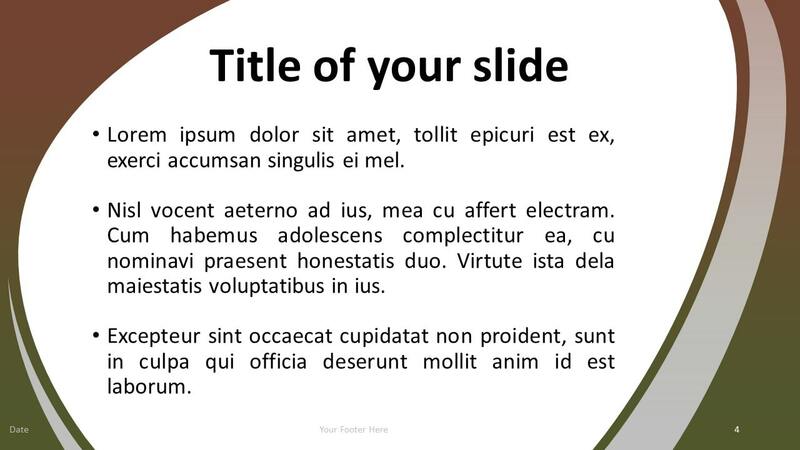 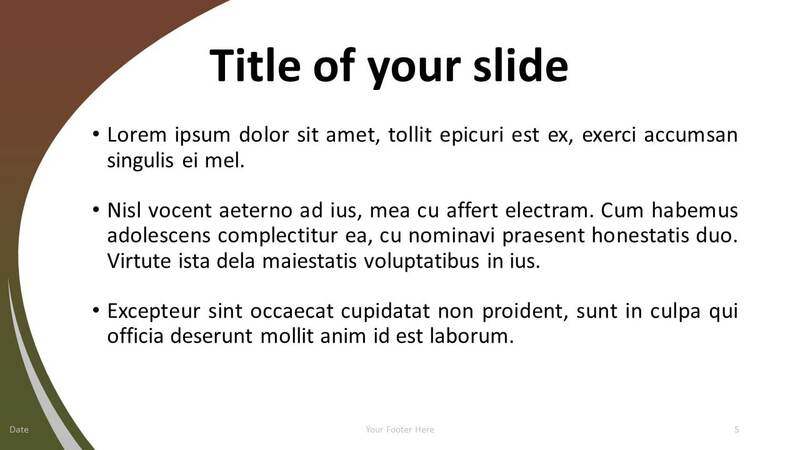 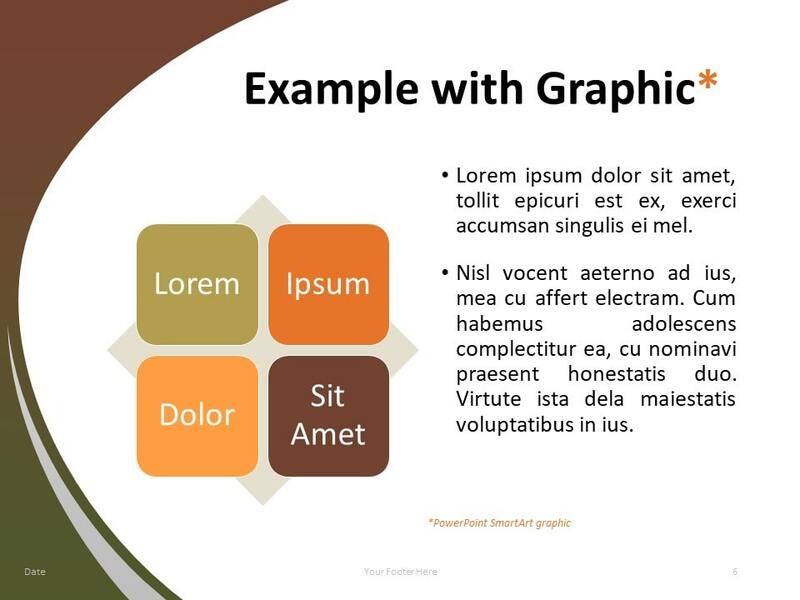 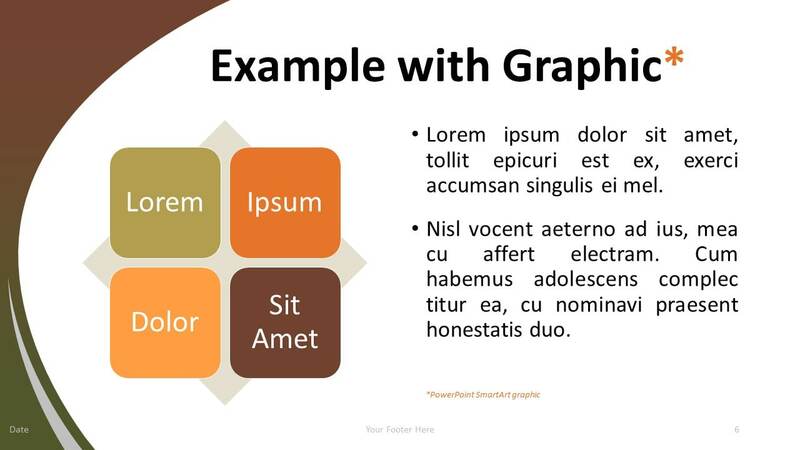 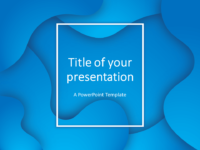 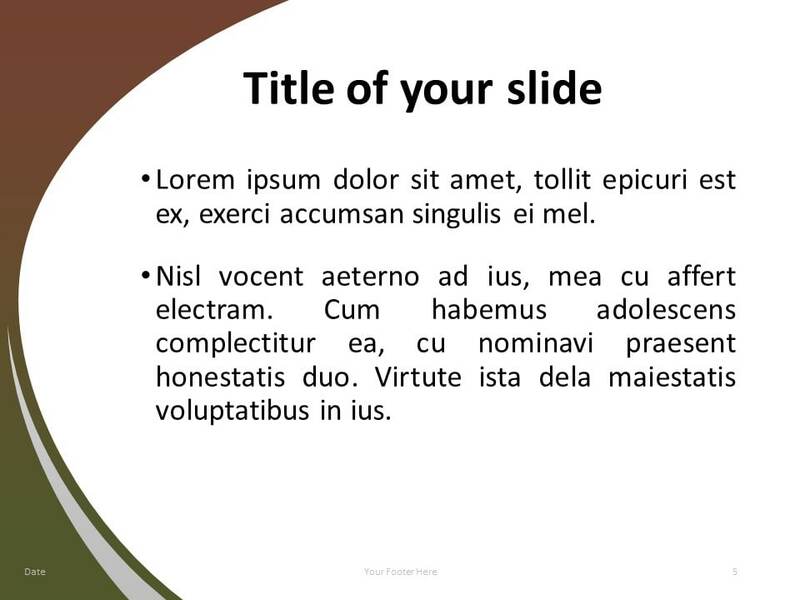 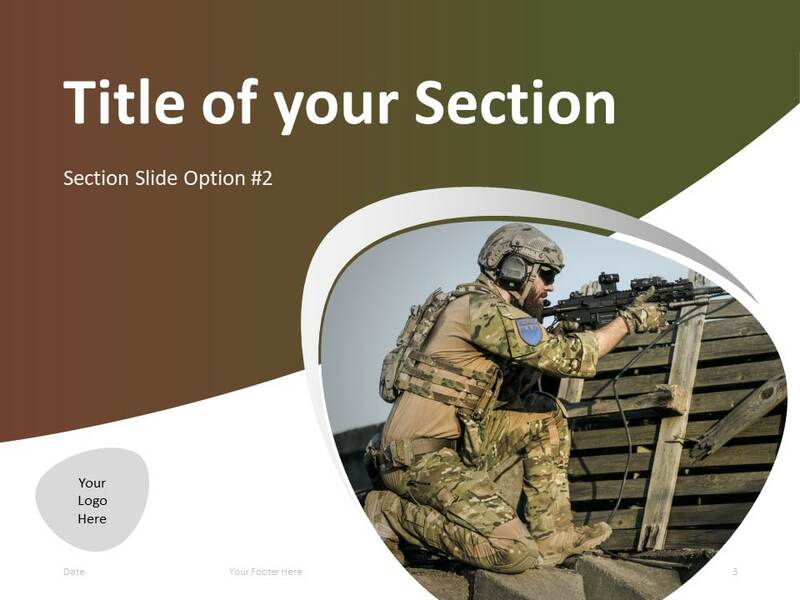 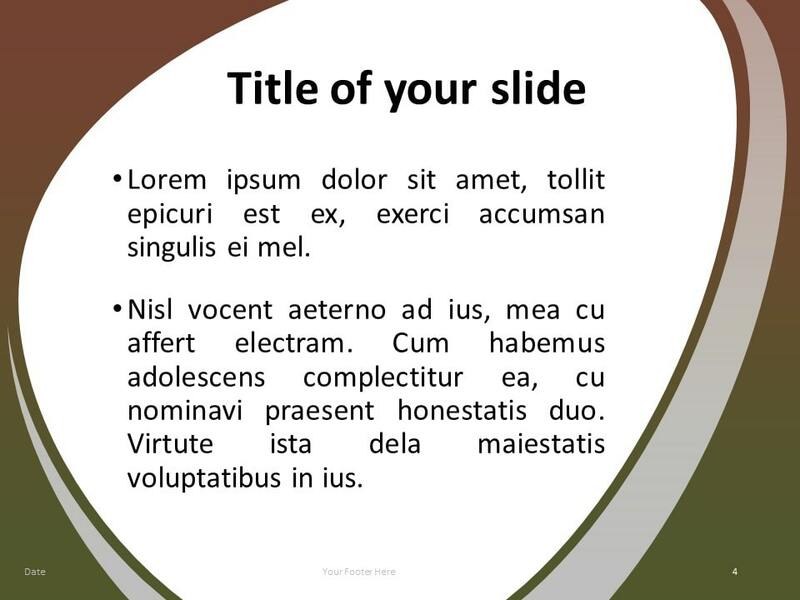 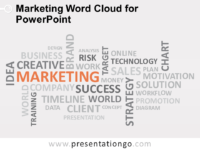 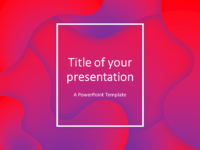 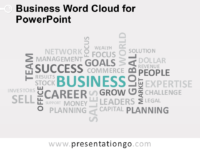 This template for PowerPoint is suitable for military, and any army-related presentations.